Heat 1 tablespoon oil in a large pot over medium heat. Add half the garlic and cook until beginning to brown, 1 to 2 minutes. Add spinach and ¼ teaspoon salt and toss to coat. Cook, stirring once or twice, until mostly wilted, 3 to 5 minutes. Remove from heat and stir in lemon juice. Transfer to a bowl and keep warm. Increase heat to medium-high and add the remaining 2 tablespoons oil to the pot. Add the remaining garlic and cook until beginning to brown, 1 to 2 minutes. Add shrimp, crushed red pepper and the remaining ⅛ teaspoon salt; cook, stirring, until the shrimp are just cooked through, 3 to 5 minutes more. 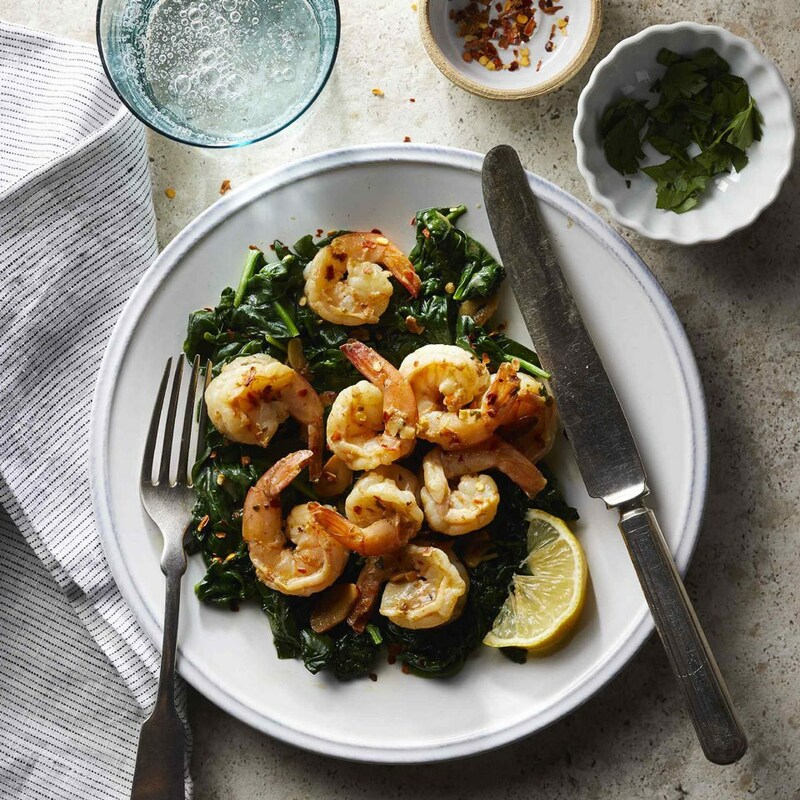 Serve the shrimp over the spinach, sprinkled with lemon zest and parsley.